Welcome. It’s great that you’re thinking about joining us. But first, you should learn a little about who we are and what we stand for. Here’s the scoop. Enterprise Holdings is a family-owned, world-class portfolio of brands. We operate a global network that covers more than 90 countries, 100,000 dedicated team members, and more than 1.9 million vehicles taking customers wherever they need to go. In any way you want to think about it, we lead the transportation service industry. How did we get here? The fact is, we owe our success to each and every one of our people. That’s why we empower everyone on our team with opportunities for growth. Our mission, along with our uncompromising commitment to customers, has made Enterprise a genuine success story and a truly special place to work. To be the best transportation service provider in the world. To exceed our customers’ expectations for service, quality and value. To provide our employees with a great place to work. To serve our communities as a committed corporate citizen. Our company. We’ve got a massive network. It all started with Jack Taylor and seven cars. Now, Enterprise, Alamo and National have teams of talented people in countries around the world. That means, no matter where you live, there’s probably a great opportunity with us right down the road. Low rates and hassle-free service. That's why our customers "Drive Happy®". Alamo Rent A Car is the largest car rental provider to international travellers visiting North America. 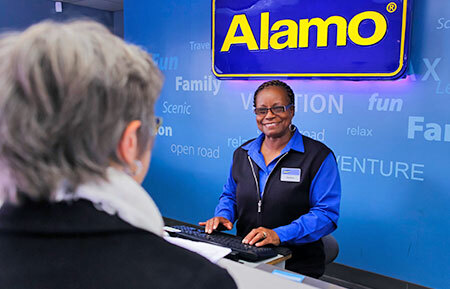 Serving the needs of airport leisure travellers, Alamo was the first car rental brand to offer self-serve kiosks to help our customers get on the road faster. Alamo is also the official rental car of Walt Disney World® Resort and Disneyland® Resort. This is where it started. In our neighbourhoods. Helping everyone get where they need to go. 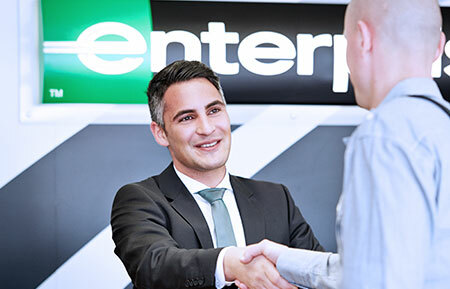 At Enterprise, we feature great rates and extraordinary customer service. And because of our "Rent. Buy. Share." offerings we have every transportation need covered. Whether you want a vehicle for an hour, a day or a lot longer, we'll get you to every place life takes you. And to top it all off, Enterprise is the official Rent-A-Car of the NHLPA and NHL®. 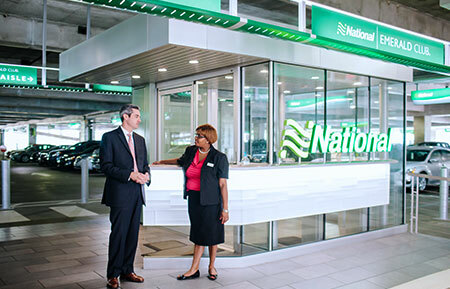 National Car Rental serves the daily needs of frequent business airport travellers. National's customers are time-conscious. So, we meet their needs with our Emerald Aisle service, which allows them to choose their own vehicles based on their reservation and "Go Like a Pro®." That convenience, matched with the first comprehensive frequent renter program in the industry, The Emerald Club, is why National is consistently ranked as one of the best. We're also a proud partner of the PGA of America. Different than traditional pre-owned car dealers, we pioneered “no-haggle” car pricing, so there’s no sales games. It’s no wonder we’ve sold more than 1 million vehicles. Always available and accessible around the clock, our totally automated, membership-based transportation solution is environmentally friendly, cost-effective and convenient. Enterprise Truck Rental embodies the spirit of Enterprise Rent-A-Car and reflects the same great rental package – only bigger. We offer light- and medium-duty truck and cargo van rentals to both commercial and retail customers. We’re recognized by Automotive Fleet magazine as one of the fastest growing fleet management companies, specializing in providing comprehensive services for businesses with mid-sized fleets. Companies partner with Enterprise to bring their employees a better commute. By sharing a ride, our customers arrive to work relaxed and recharged, fueling a better company culture while saving valuable time and money. From sports cars to luxury sedans and SUVs, we have one of the largest selections of vehicles from some of the world's top luxury manufacturers. Our specialist commercial and accessible vehicle solution for short- and long-term business and community rentals in the UK. Zimride helps customers connect with others who are going the same way they are. By sharing rides, they reduce their carbon footprint and save money. It’s a fun way to get where you need to go. Enterprise began as a glimmer in the eye of an entrepreneur. Through the hard work and dedication of Jack Taylor and future leaders of the company, we turned a fleet of seven cars into the world’s largest rental car company. We’re proud of where we’ve been, and excited about where we’re going next. We have decades of success. And we’re just getting started. We do great things. And get recognized for our achievements.